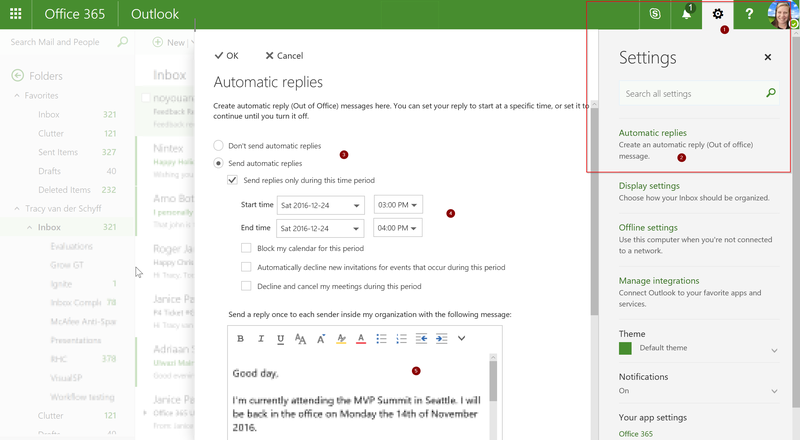 #Office365Challenge Ready to go on leave and not sure how to set your Out of Office for Outlook? Just in time for the silly season – a reminder to set your Out of Office for Outlook. Scroll down for the external message. Voila!!! Enjoy, have a good holiday everyone!! Be safe, have fun.